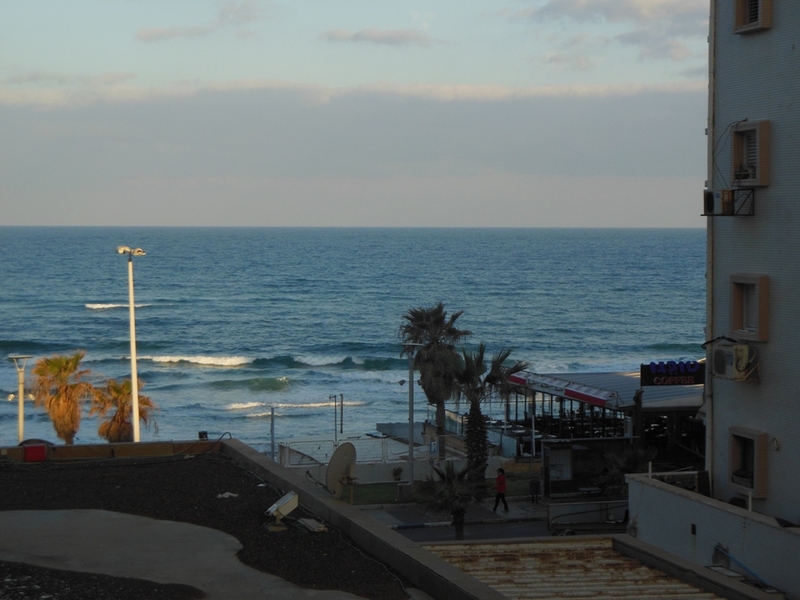 Waking up on the first day of vacation is always a thrill, especially with a Mediterranean beach out the window. After a short walk and a nice breakfast buffet we were on our way. Driving out of the Tel Aviv metro area, we were reminded that there was an election the next day. 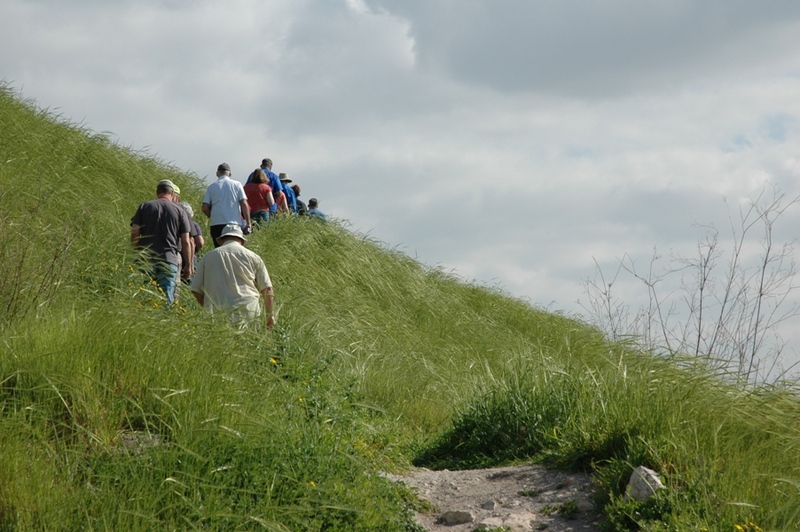 Soon we were walking up the side of Tel Gezer, our first stop of the day. 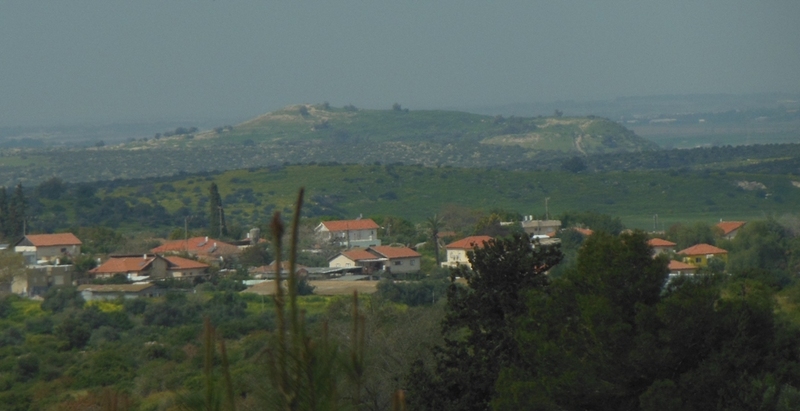 Gezer was a city fortified by Solomon (I Kings 9). 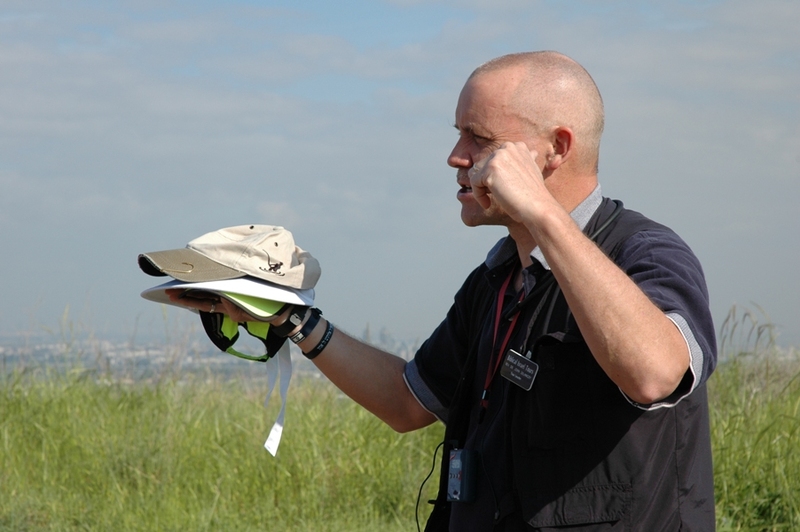 Our leader, John DeLancey, used a pile of hats to illustrate how tels, ancient cities, were built up layer upon layer, and providing a rich mine of resources for modern archaeologists. We walked through the Bronze Age gate, adjacent to the Bronze Age water system, which has been excavated over the past few years. 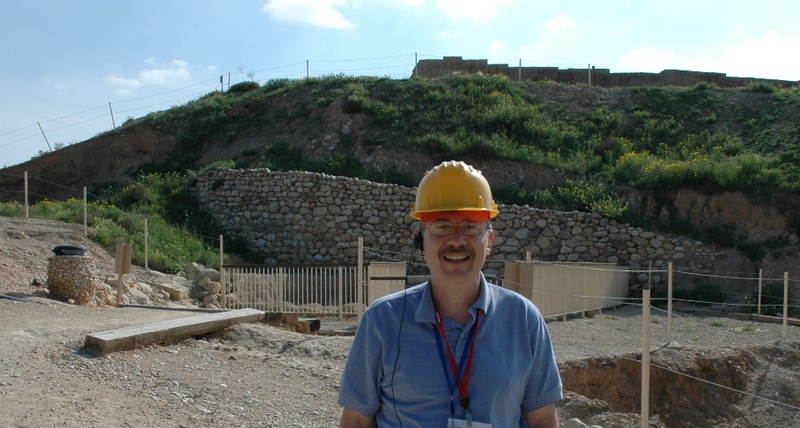 Then to the Iron Age gate, Gezer gate, where my friends Sam Wolff and Steve Ortiz have been excavating. In March, everything was green and the wildflowers were beautiful. 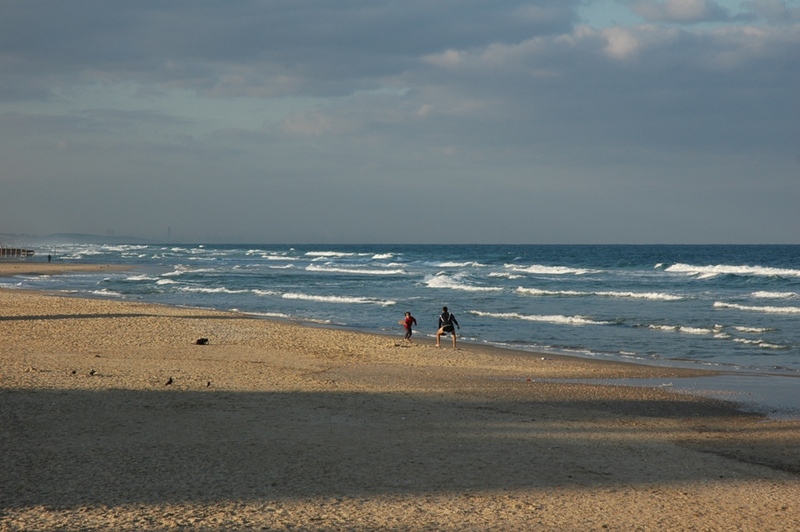 On the horizon, the modern coastal cities of Ashdod, Ashkelon, and Gaza, where ancient Philistine cities of the same name were located. 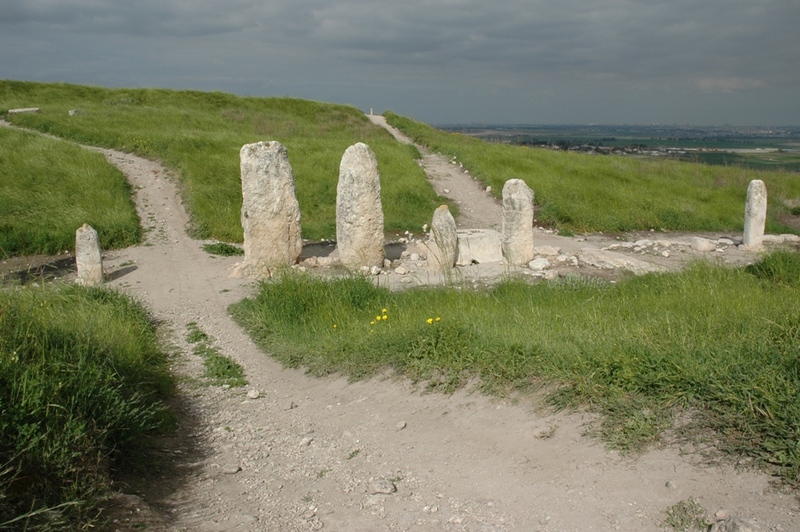 And finally, the Standing Stones at Gezer. We stopped at Beit Shemesh, and some folks picked up some archaeological souvenirs from the shard pile, discarded by archaeologists. Here we read from 1 Samuel 6 about the return of the Ark of the Covenant given back by the Philistines. 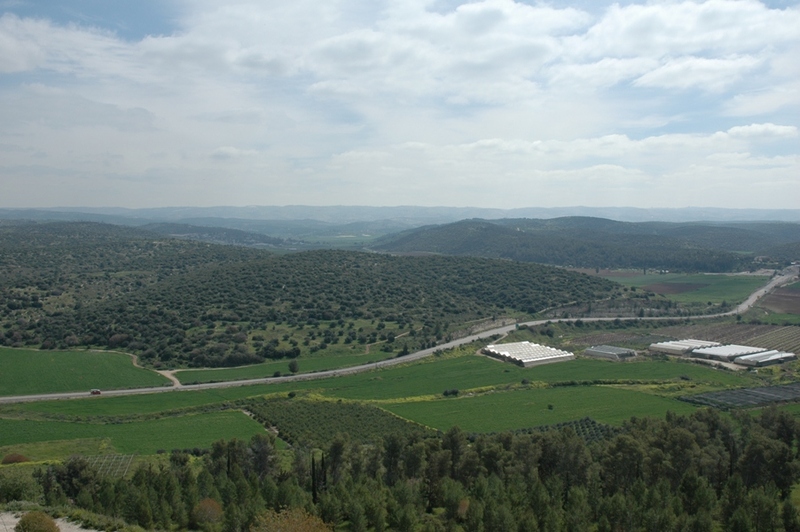 At Azekah, we looked out over the Elah Valley, the same view that the ancient inhabitants had over the battle of David vs. Goliath (I Samuel 17). In the middle of the photo, the site of Khirbet Qeiyafa, where archaeologists in recent years have excavated what was apparently a border fortress of King David, and where they found one of the earliest examples of Hebrew writing. Nearby, watch your step. 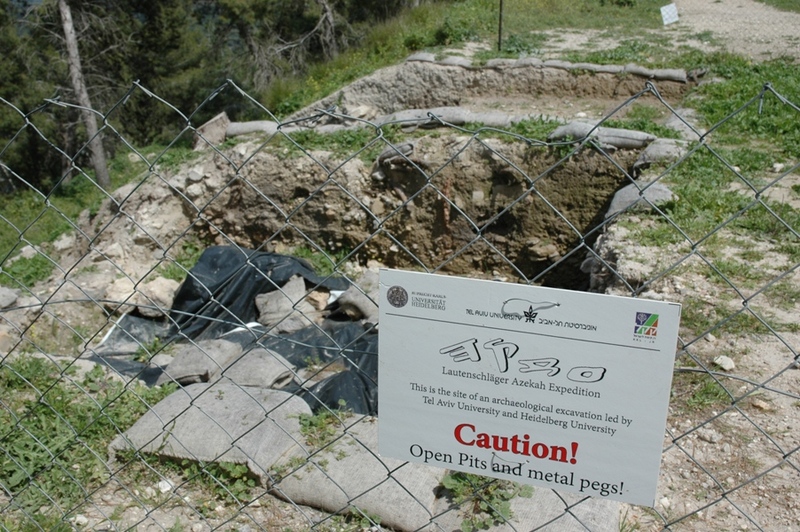 In these pits archaeologists this week are beginning the 2015 excavation season at Azekah. 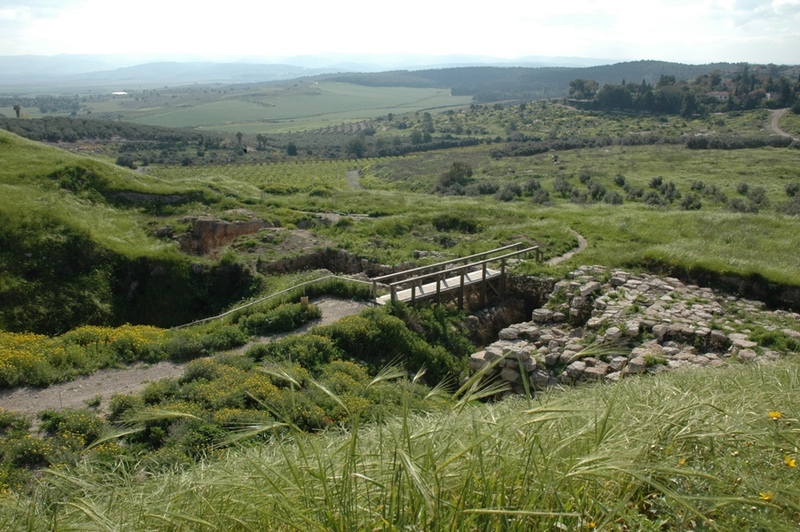 In the distance, another Philistine city and the site of another important ongoing excavation: Tel es-Safi/Gath. 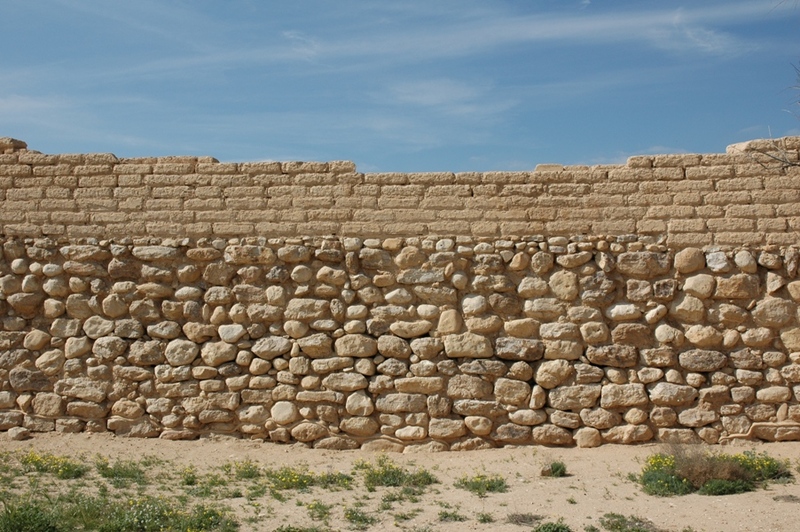 At Tel Beersheba we saw an example of ancient construction, a mud brick wall on top of a stone foundation. 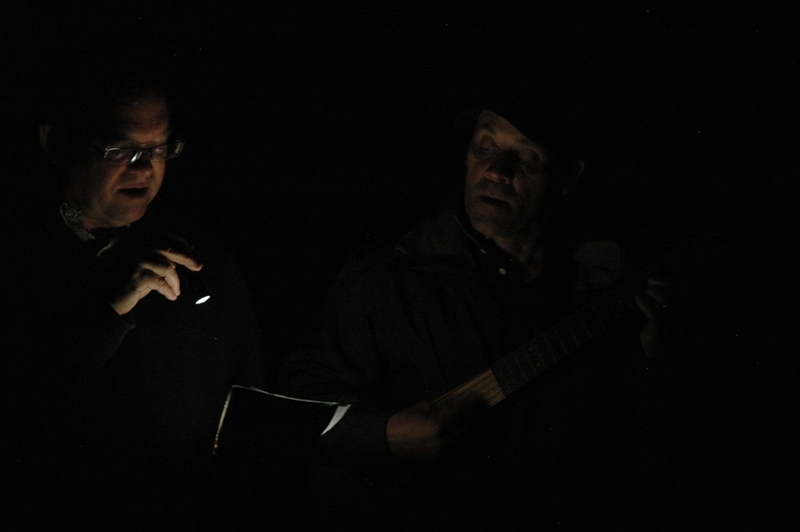 Here we read from Genesis 21 about Abraham and the “well treaty” made with Abimelech. A quick self-portrait, after emerging from the Beersheba water system. 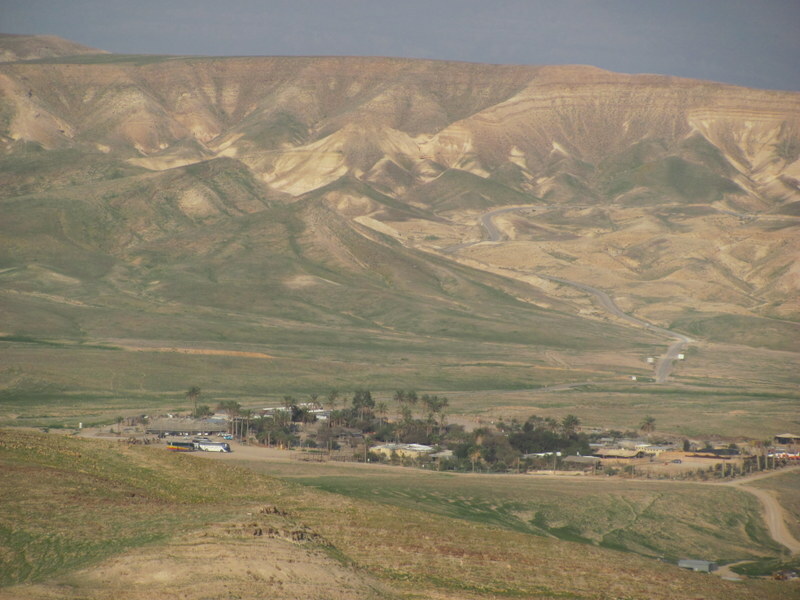 Tel Arad appeared on the horizon, into the desert area. On the drive up to the tell we spotted some extremely rare, Negev Irises. 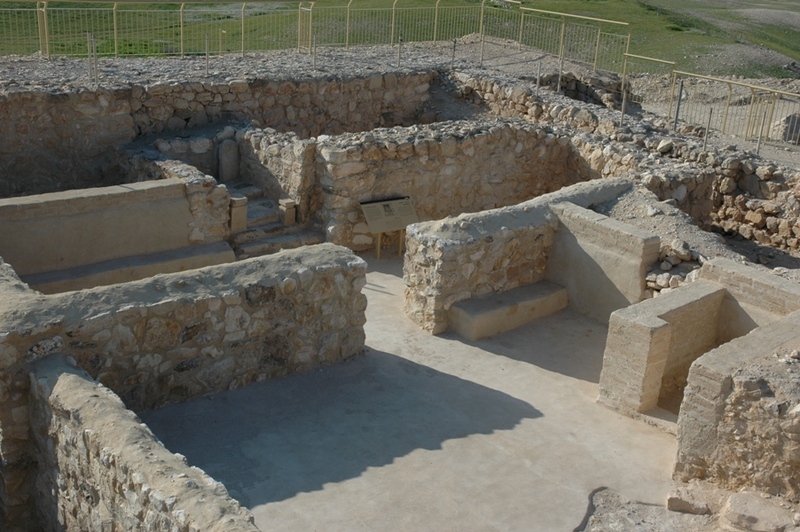 At Arad we saw the Early Canaanite city that was destroyed by Joshua, as well as the temple that was built here, complete with a replica of the altar that was found when archaeologists excavated Arad. 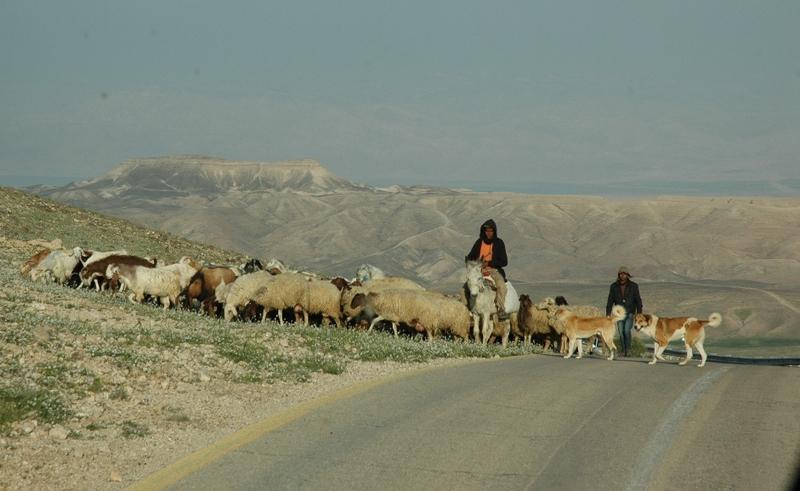 All day long we had been spotting shepherds and sheep, even in the desert. In the background, a sliver the Dead Sea. And beyond that, the mountains of Moab. Soon our destination for the night was in sight, the Kfar Hanokdim oasis. 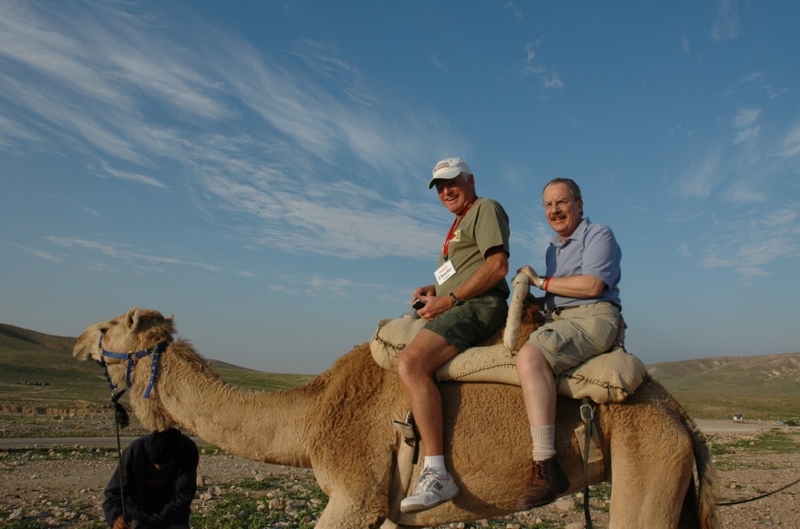 Everybody got a chance to ride a camel. 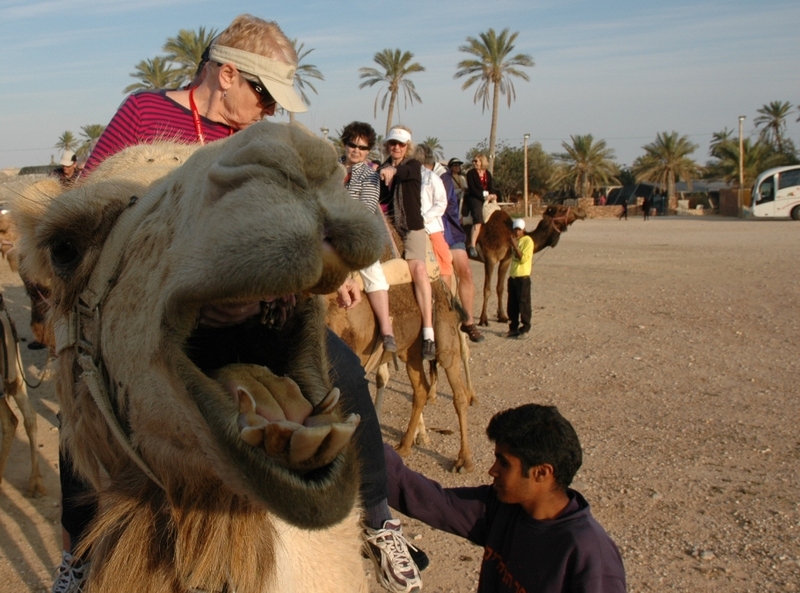 And every camel got a chance at a close-up. 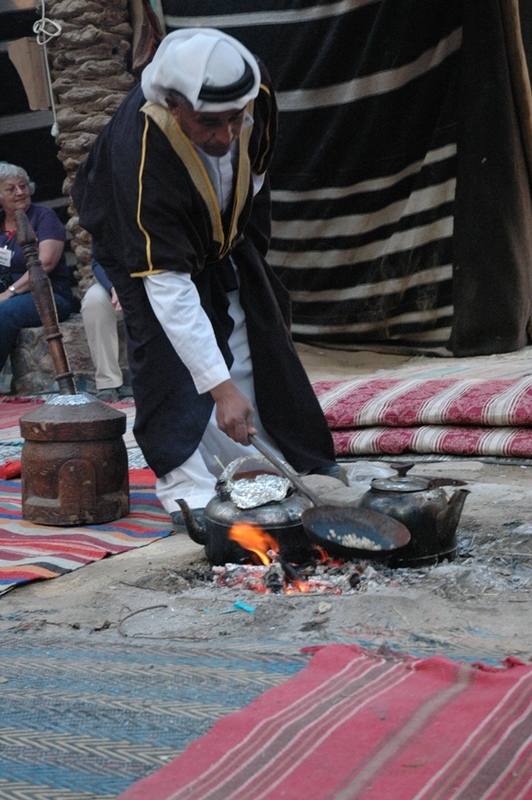 We learned about the bedouin life, and we slept in a tent. After singing under the stars.